Product prices and availability are accurate as of 2019-04-18 09:36:17 BST and are subject to change. Any price and availability information displayed on http://www.amazon.com/ at the time of purchase will apply to the purchase of this product. 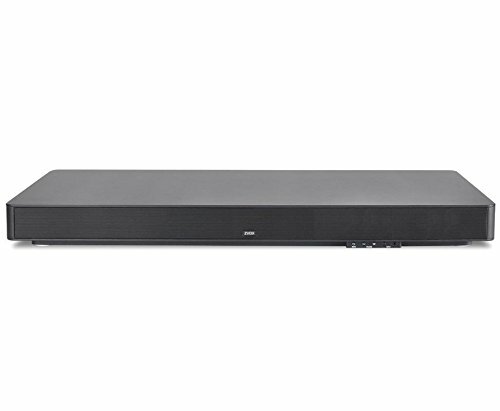 The ZVOX Noise Base 670 produces rich, room-filling house theater sound without all the mess of a traditional surround stereo. Just 3.5" high, it consists of five complete variety speakers (including three center speakers). But it essentially disappears when placed under your TV. Connection is easy - just one wire! But the sound is great, with super-clear vocals and powerful bass from three built-in powered subwoofers. The ZVOX Phase Hint virtual surround system produces theater-like three-dimensional sound without the requirement for speakers throughout the room. Wish to pay attention to music? Stream audio from your phone or tablet via aptX Bluetooth cordless connectivity. Having difficulty hearing the voices on a program? Press the AccuVoice button on the remote and vocals how to become crystal clear immediately. Fed up with loud commercials? 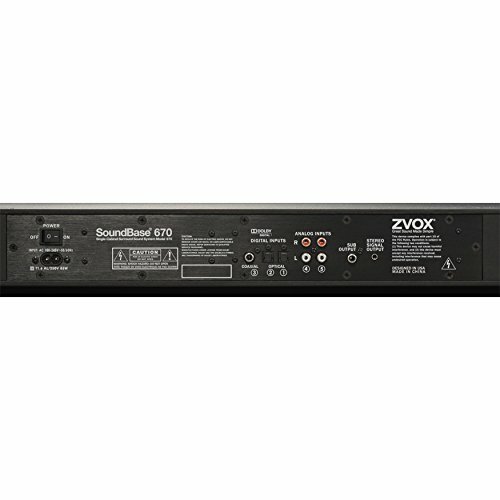 Press the OL (Output Leveling) button on the remote and the ZVOX will tame loud commercials prior to they irritate you. You can likewise program the ZVOX system so that it works with your existing push-button control. A large, easy-to-read display screen is hidden under the front grille, and disappears when you're not using it. The Noise Base 670 is the perfect house theater system for people who desire great sound, terrific design and innovative functions - without the mess and intricacy of old-fashioned surround sound systems.